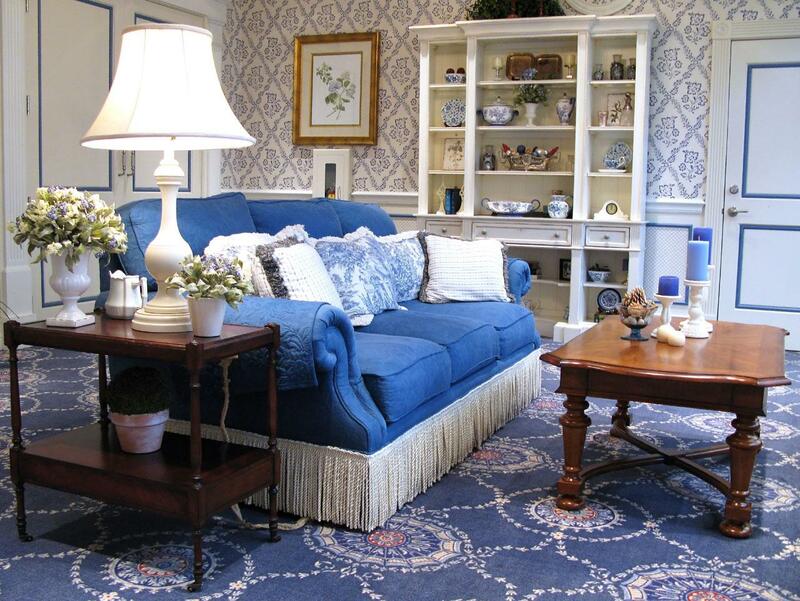 Blue dominates the whole room including cushions, carpets, and candles. Hanging décor on the lower edge of sofa makes it highly inviting. A combination of white and blue is always appreciating. Multi-cabinet show case displays art pieces, crockery, flower vases, pots, time piece and other decorative items. Double spaced stool makes its presence with a large lamp shade and surrounding flower vases. Blue colored aromatic candles with stand add a significant note to your classical table. In this room, white color harmonizes the blue color effect.